Pause, if you will, to consider the value of your local archives. All over B.C. there are repositories of history that are used by researchers and authors such as long-time partners Jon Bartlett and Rika Ruebsaat who are board members of the Princeton & District Museum & Archives. 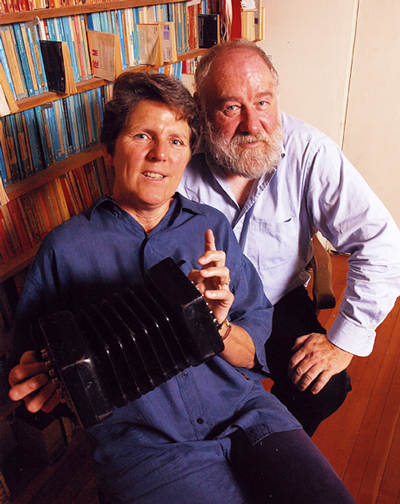 As well as releasing seven albums by 2015, mostly of traditional Canadian heritage songs, they produced two books pertaining to Princeton and the Similkameen Valley. The first is a collection of vernacular verses from the pages of the local presses. The second is Soviet Princeton, recalling the most turbulent period of the town’s history when aggrieved coal miners brought labour organizer Slim Evans to town to help them protest a 10% pay cut during the Great Depression. Soon after they arrived to live in Princeton, cultural historians and musicians Jon Bartlett and Rika Ruebsaat mined the archives of Princeton, B.C. and Hedley for their unprecedented collection, Dead Horse on the Tulameen: Settler Verse from BC’s Similkameen Valley (Canadian Folk Workshop: $25), a thorough follow-up to the pathfinding work of song-collector Phil Thomas. Complete with historical photos, this narrative and verse anthology is a rare reflection of pioneer life in B.C. 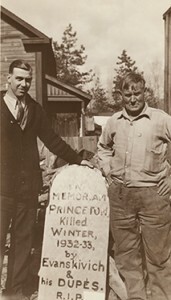 The songs and poems of the Similkameen were subsequently featured on their CD entitled Now It’s Called Princeton. Their book Soviet Princeton revisits the volatile winter of 1932-34 when coal miners felt they had no other recourse other than to import labour organizer Arthur “Slim” Evans from the Workers Unity League to help them unionize. 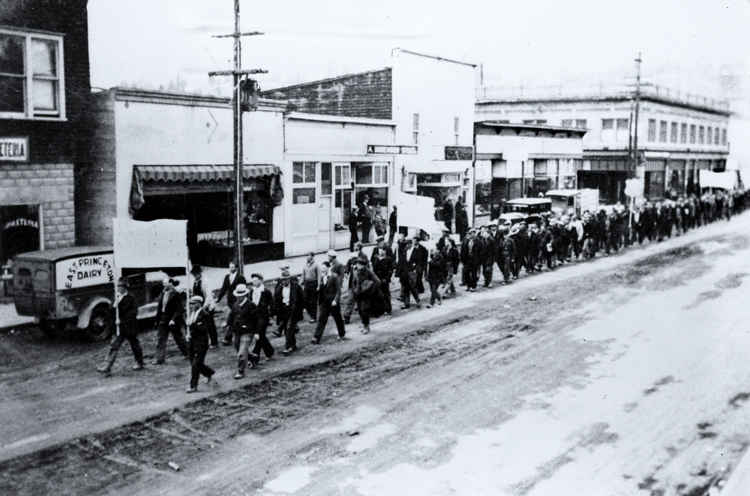 When miners from two of the three coal mines in the area responded to Evans’ leadership, town fathers predictably denounced “outside agitators” and the “Communist menace.” In fact, the most menacing force was the mounted police who charged into picket lines and some members of the Ku Klux Klan in British Columbia who assaulted and threatened workers, and a gang led by the Preside of the Board of Trade kidnapped Evans, bundling him onto a train out of town. 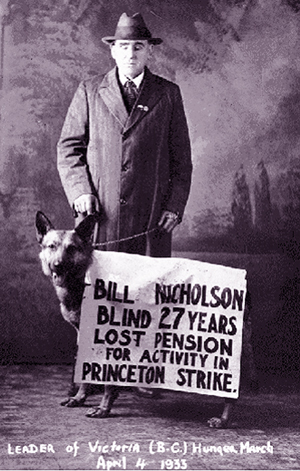 Blind Bill Nicholson lost his pension because of his activity in the the Princton strike, 1932. Evans soon returned. 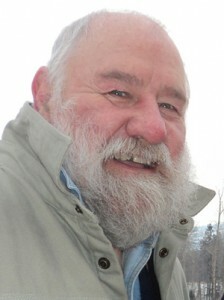 The labour strife was heightened by the federal government’s creation of a Relief Camp north of town that had also attracted organizers from the Canadian Labour Defence League. The local newspaper, The Princeton Star, predictably sided with its advertising base, the business community. Bartlett and Ruebsaat gleaned the gist of the tense standoff between the town’s establishment and the would-be unionists from the local archives that afforded access to the Depression-era issues of The Princeton Star. 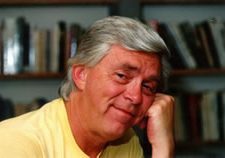 The strife served to strengthen the resolve of the undeniably heroic Slim Evans who led the On–to–Ottawa Trek of homeless and unemployed Canadians protesting the relief camps and their conditions. The Princeton District Museum & Archives (PDMA) started from a log cabin in 1958. The town erected the existing building as a Centennial project in 1967 and the organization was incorporated under societies act as Princeton and District Pioneer Museum in 1970. It changed its name to the Princeton and District Museum and Archives Society in 1983. Livery Stables and a Farm Implement Shed were added in 1985. Its Joe Pollard Wing was built in 1999 to house 40,000 fossils and minerals. As well as local pioneer items, the PDMA boasts a First Peoples basket display exhibiting various weaving styles and periods; the aforementioned fossil and mineral collection; a complete Princeton newspaper collection from 1900 through to the present; approximately 10,000 photographs from 1880 to present; more than 200 audiotape recordings (featuring pre-1980 interviews with Princeton pioneers); historic maps and mining reports from 1858 to present; a collection of 83 Notman Studios glass plate photographs (late 1800s–early 1900s); and an 1880s cabin which housed John Fall Allison’s daughter Lily, her husband John Norman & their six children.